Match Monsters, 2 player games, Play Match Monsters Game at twoplayer-game.com. Match Monsters is match 3, PVP (Player vs. Player) multiplayer online game. Make formation of three or more gems to activate them. Create your profile, clan, defeat your opponents, make new friends, win coins and buy special abilities and new avatars! 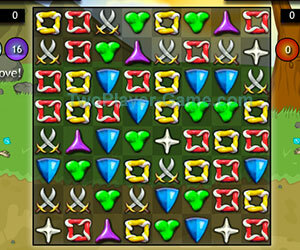 • Turn based "match 3" - Wait on your turn and make formation of three or more gems to activate them. • Each game have different ability. • Defeat your opponent by activating the right gems.